This was my first time working with an M20. With that said, I realize there are probably easier was to do some of these steps, and my method might be a little over-detailed. This job is not that hard, but there are quite a few steps, so it can be intimidating to a new-comer. My advice is to go for it, as long as you are willing to be detailed and methodical. THIS IS JUST A RECOUNT OF HOW I PERFORMED MAINTENANCE ON MY OWN VEHICLE. IF YOU CHOOSE TO COPY MY METHODS, YOU DO SO AT YOUR OWN RISK. I AM NOT RESPONSIBLE FOR ANY PROPERTY DAMAGE OR INJURY THAT RESULTS FROM YOUR CHOICE TO FOLLOW THE GUIDE BELOW. a. Jack car up, place it on jack stands. If your car has a splash panel attached to the front valence, you should probably remove it now. b. Remove the cap from the coolant expansion tank. c. Locate the radiator drain plug on driver’s – side (LHD cars) of the bottom of the radiator. Mine was made out of light blue plastic and slotted for a Phillips-head screw driver. Place an oil pan or bottle & funnel underneath the drain plug. Be sure to have bottles ready to store your old coolant. Mine filled my oil drain pan and I had to replug the drain to empty it. d. My Haynes manual did not require the removal of the block drain plug, so I tried to start removing hoses right after I finished draining coolant from the radiator. WRONG. I was promptly covered in coolant. 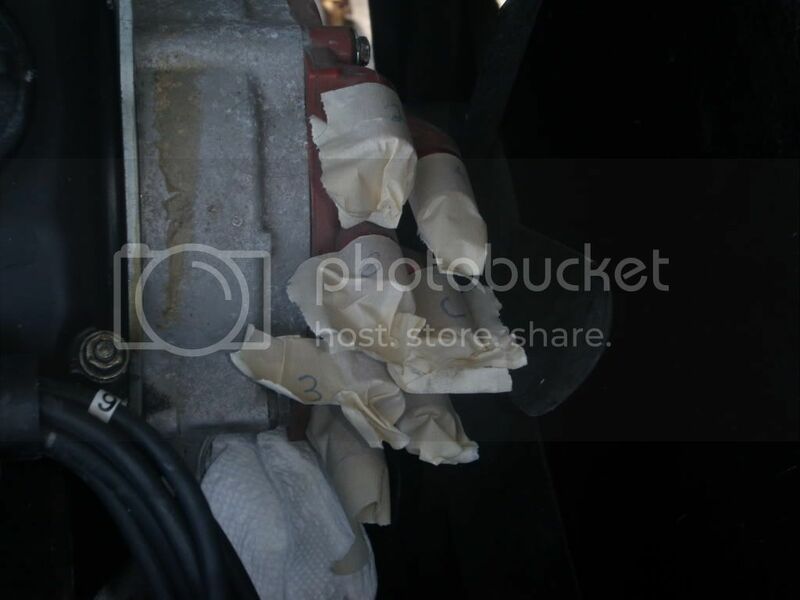 The block drain plug is on the passenger (LHD models) side of the engine block, underneath the exhaust manifold. Remove the plug using a 19mm socket. This step is the reason you removed the splash panel in step 1. WARNING: The location of the plug forces you to be under the car when it is undone, meaning you will likely get coolant on you. Have an oil drain pan ready, a bottle and a funnel probably won’t be of much use for this drain location. a. This step is pretty self-explanatory. Have the appropriate screwdrivers, Phillips and slotted, to remove the hose clamps on the hoses. You might also want to get some extra hose clamps. For some reason, many of my original BMW clamps seem to bind up when they are loosened/tightened. 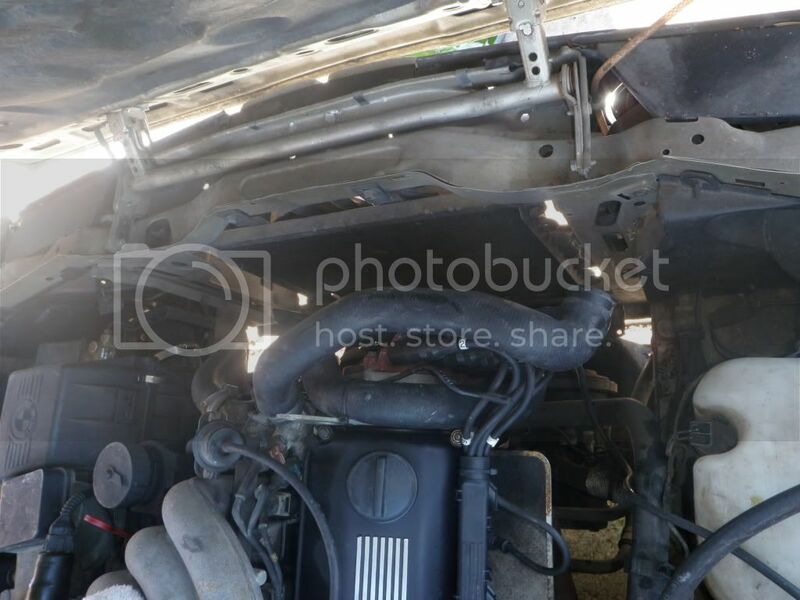 b. I would recommend removing the coolant hoses entirely, as they take up quite a bit of room, and I imagine they would get in the way. I removed them all, as this is a good opportunity to replace them. Because I did this over a couple of days, I plugged all of the open coolant passages with paper towels, to prevent coolant from coming out and foreign objects from falling into them. 5) Remove the 10mm radiator mounting bolts at the top of either side of the radiator using a socket and ratchet. 1) Unplug spark plug wires from the distributor cap. Number/label the wires and connections on the cap to make them easier for reconnection later. My wires had nifty little number bands on them, but not all sets do. My cap was also numbered, but the numbers were practically impossible to read while the cap was on the car. a. The cap is held on with 3 8mm bolts. Mine were slotted for flat- and phillips-head screwdrivers, but the 1/4" ratchet and 8mm socket was the easiest method. a. The ignition rotor is held on with 3 allen-headed bolts. Undo these bolts with your set of allen keys. 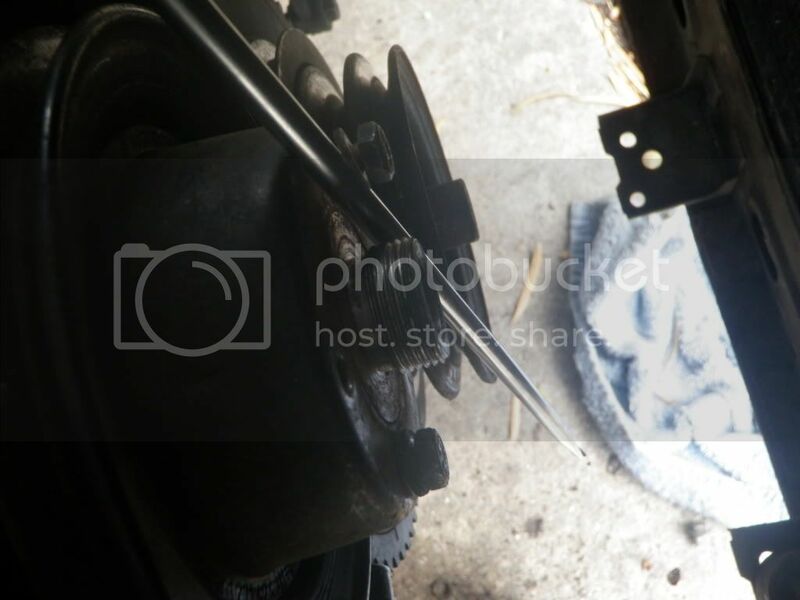 Once you have the bolts undone, pull the rotor straight towards the front of the car. After the rotor is off, you should be able to remove the plastic cover/seal over that sits between the rotor and cam gear face. b. Inspect your cap and rotor for wear on the contact points. Also be sure to check the cap for any visible cracks. The inspection interval for these parts is 30,000 miles, so if they have lasted the full 50,000 since the timing belt was last changed, this is probably a good time to replace them. 1) Place a 32mm (1 1/4") wrench on the large nut behind the fan. a. This nut is reverse-threaded, so it will have to be turned clockwise. 2) Whack the the wrench briskly with a hammer, in an attempt to break the nut loose. 3) If the nut comes loose with the initial hit, undo it the rest of the way by spinning the fan clockwise. a. If the nut does not break loose, hold the fan pulley in place by threading your long screwdrive or other similar tool in between the small bolt heads on the fan pulley to hold it in place. Hit the wrench again, and the fan should come loose. Remove the fan by spinning it counter clockwise until it comes free. The picture was taken after the fan was removed to better show the way the screwdriver was positioned. 4) Remove the fan pulley by undoing the four 10mm bolts (you may have used them to brace your screwdriver). If you have trouble with the pulley spinning, you can use the method outlined in step 3 to removed the bolts that are still stuck. Leave the bolt across from the troublesome bolt slightly threaded in, so you can use it as a brace point for your screwdriver. 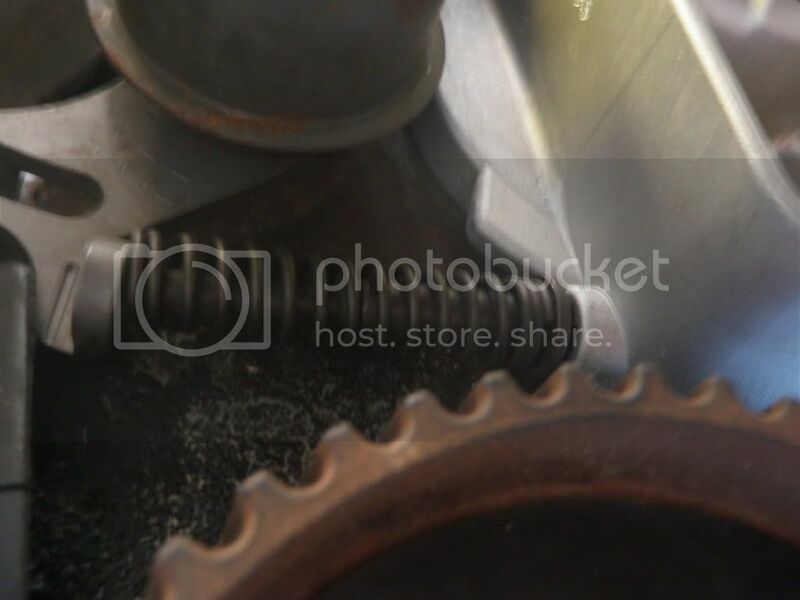 The tension of the accessory v belts is adjusted through the use of a sprocket and track system. As the sprocket is turned it moves along the track and the accessory is rotated towards or away from the motor, changing its belt tension. 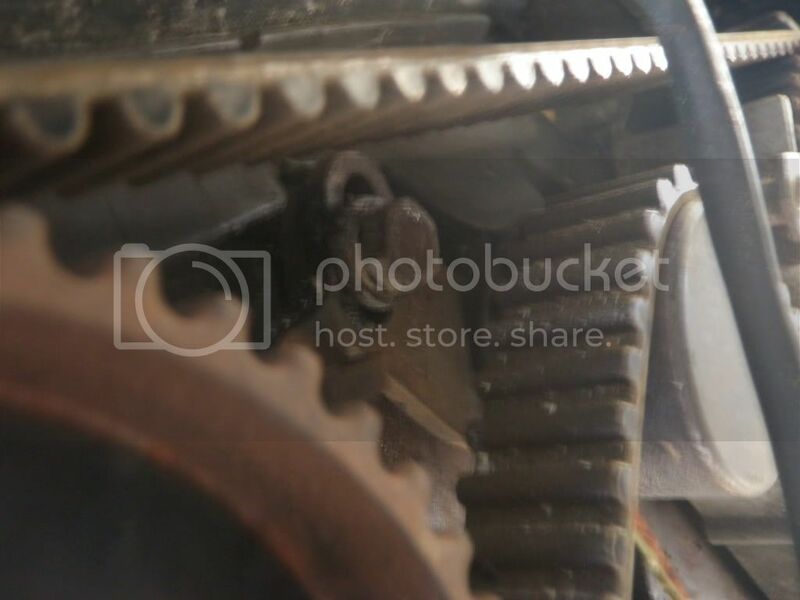 To remove the belts, you will have to rotate the accessory close enough to the motor to slip the belt off of its pulley. Unfortunately, this process is a little difficult to describe, but it's pretty simple. b. Using a 19mm wrench, turn the adjustment bolt until you can slide the belt off the pulley. Removing the airbox would make this easier, but I decided to do it with the airbox on. d. Slide the bracket off of the stud on the timing belt cover. 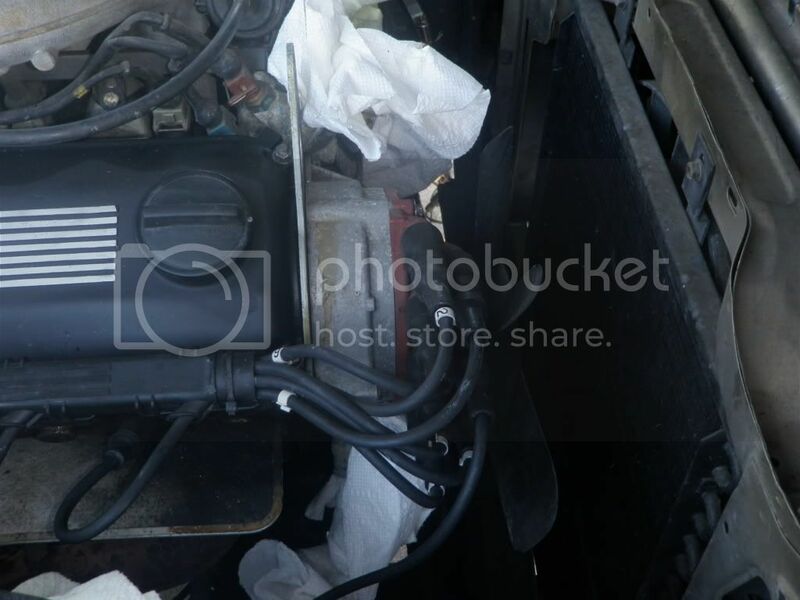 c. Rotate the alternator towards the motor to slacken the belt and slide it off. 2) Tape the mounting bolt to the sensor and tuck it away so it can be reattached when you are done. 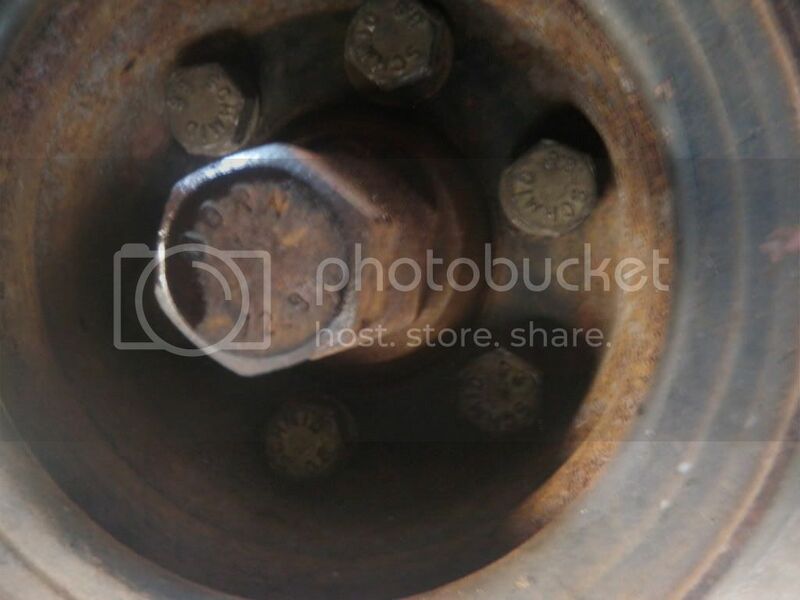 3) Remove the top timing belt mounting bolts (10mm and 13mm) using deep-well sockets. 4) Further down, slightly above the water pump/fan pulley, there is another 13mm bolt holding the upper timing cover on. Remove this one as well. 5) Remove the plastic cover and the wiring underneath from the clips on the front of the timing cover. 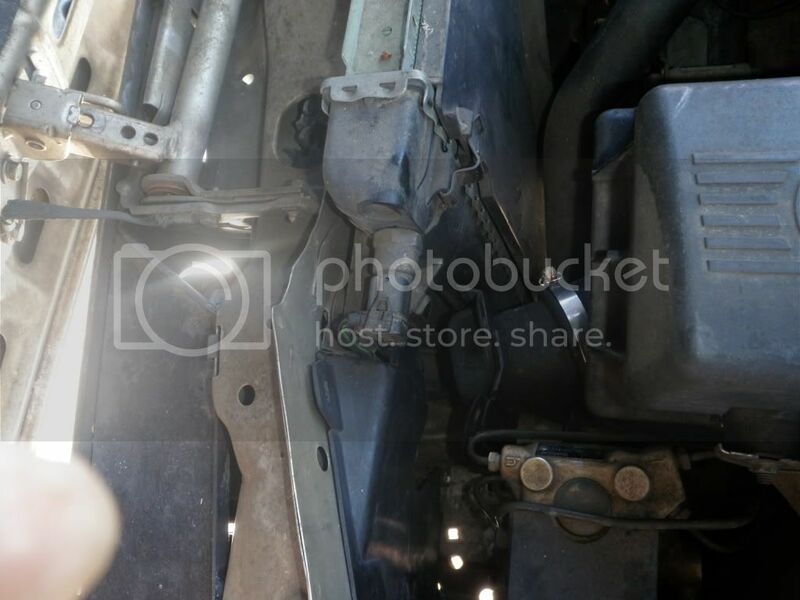 6) The upper timing belt cover can now be removed. 7) Remove the 6 bolts on the face of the crankshaft pulley with a 14mm socket. 8 ) Slide the two-channel pulley and vibration dampener off. 10) Slide the lower timing cover off. 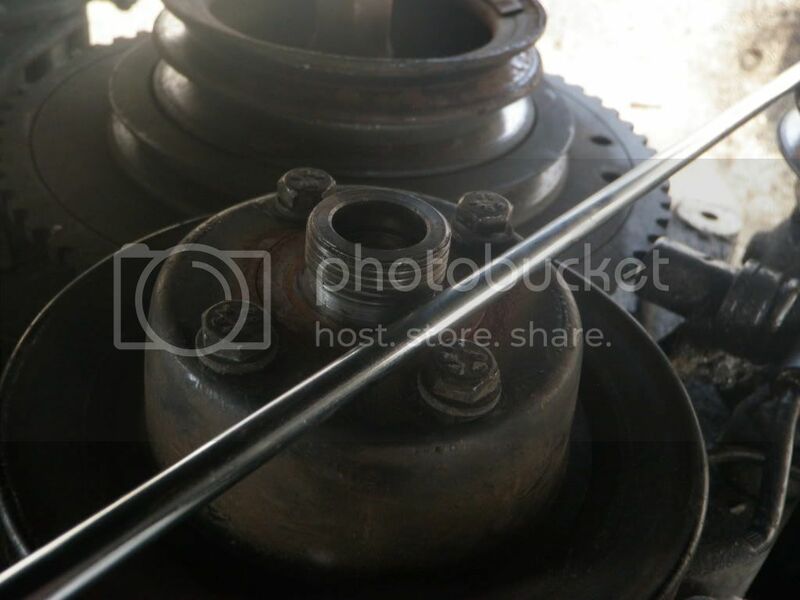 1) set the engine to top dead center (TDC) by rotating the crankshaft pulley (23mm) until the mark on the pulley lines up with the divot on the timing belt channel. 2) Verify that the mark on the camshaft gear also aligns with the corresponding mark on the cylinder head. 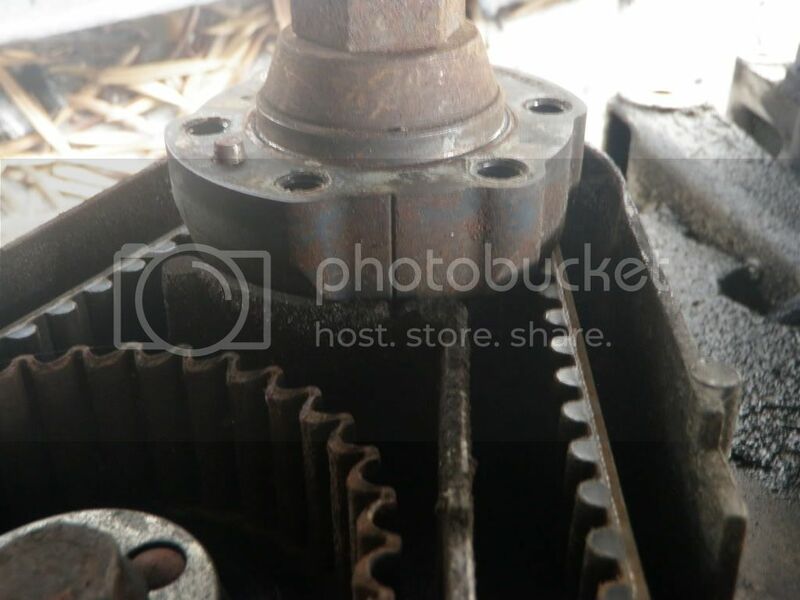 If does not, keep rotating the crank pulley until the marks on both the crankshaft pull and camshaft gear line up with their corresponding marks. 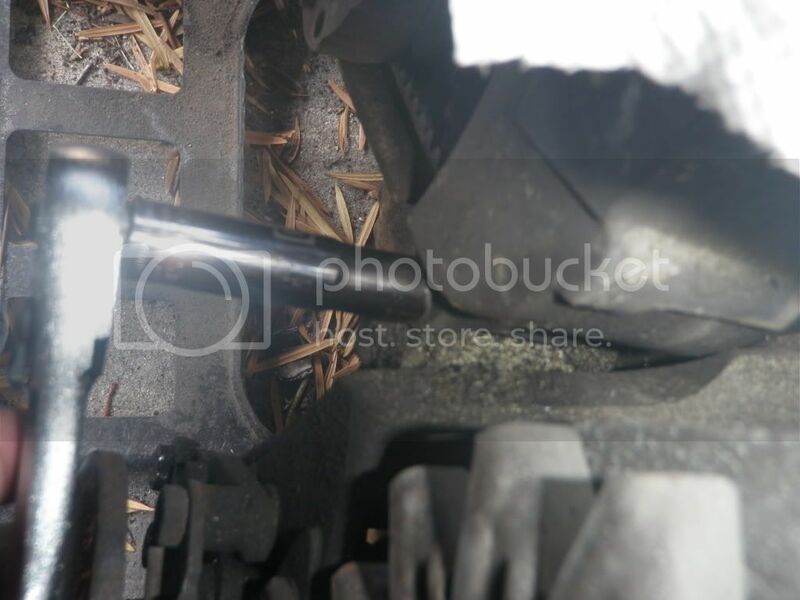 3) Use a deep-well 17mm socket to remove the stud that held the alternator bracket to the timing cover. 4) Use a 13mm deep-well socket to loosen the bolt on the tensioner. 5) Rotate the tensioner counter-clockwise (towards the passenger side) with a long screwdriver and slide off the timing belt. 6) Finish unscrewing the stud and bolt and remove the tensioner, spring, and pin. With my method, you begin before you remove the timing belt. 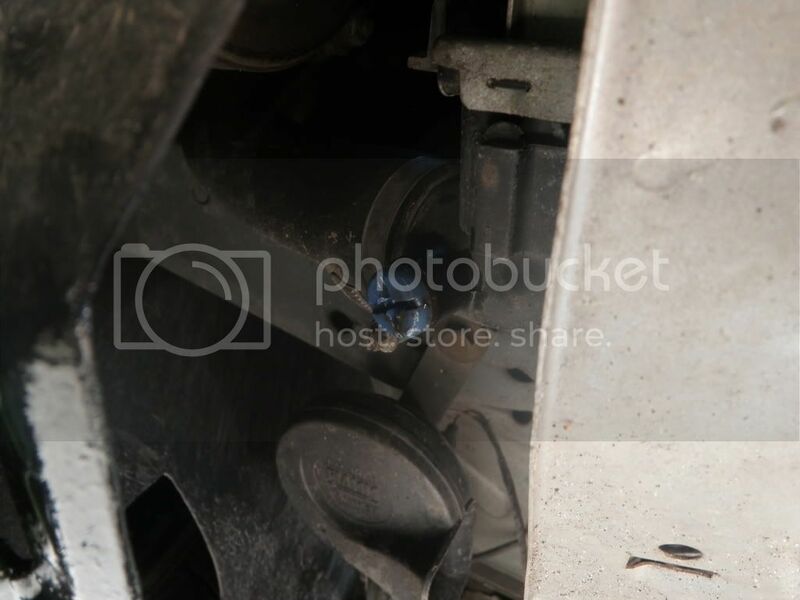 1) Unbolt the water pump by removing the three 13mm bolts on the water pump housing using a socket. Use your new pump as a guide to find the bolts. This way, you don't have to deal with the tensioner spring when you are removing the belt or tensioner. 1) Remove the 13mm bolts from the water pump housing and pull the water pump off. Your new pump can be used as a guide to find the bolts. 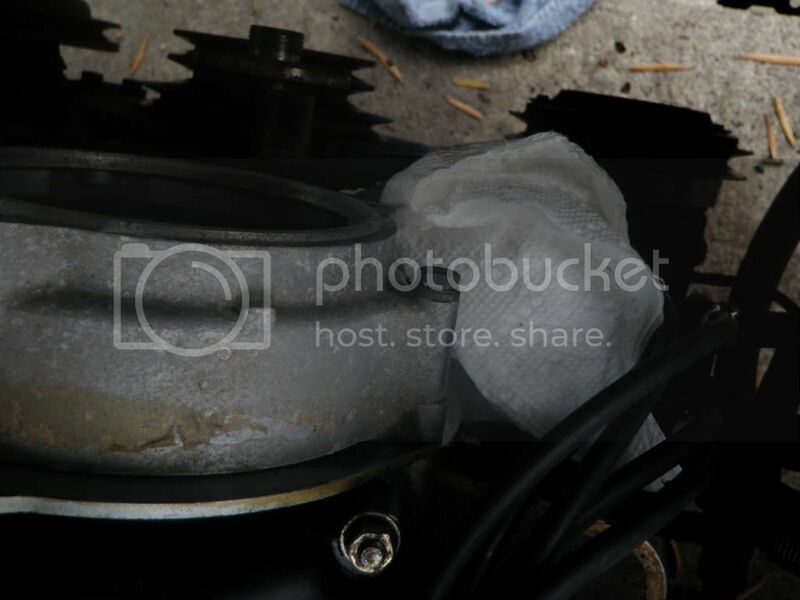 2) Wipe the water pump mounting area free of debris and old gasket material. 3) Bolt the new pump and gasket to the block. Be careful not to tear the new gasket. 4) Tighten the bolts down to 16 ft-lbs evenly (1/4 turn increments). 1) If your kit did not come with a new set of hardware, start by removing as much crud as you can from the 17mm stud, 13mm tensioner adjustment bolt, pin, and spring. 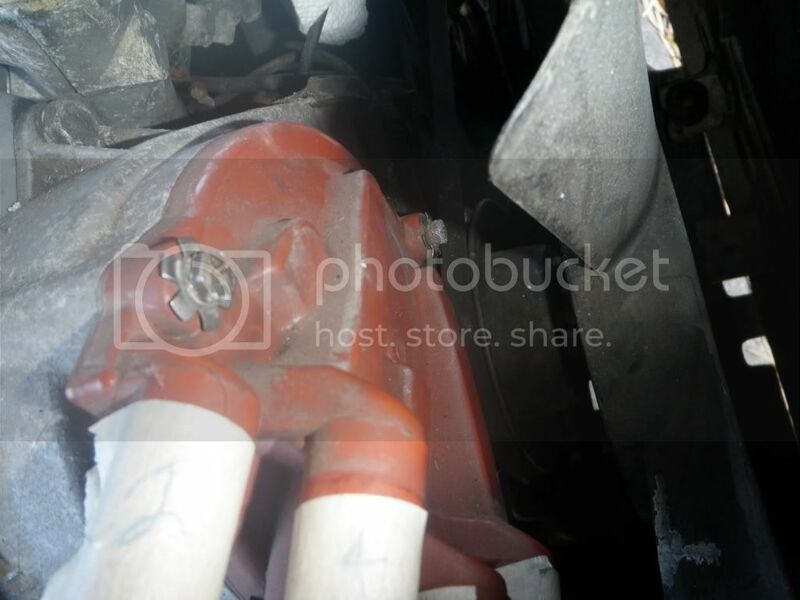 2) Lightly bolt the new tensioner to the block with the stud. Do not tighten it enough to prvent the tensioner from rotating. 3) Slide the pin into the spring and seat the head into the notch on the water pump housing and slip the pointed tip into the "eye" on the tensioner. 4) Rotate the tensioner against the spring tension (counter-clockwise) as far as it will go. Tighten down the adjustment bolt. Rotate the crankshaft counter-clockwise twice (720 degrees) until the timing marks on the crankshaft and cam gear are aligned once more. b. If either timing mark is not aligned, remove the timing belt and rotate the cam gear to account for the 1-2 tooth discrepancy. Repeat the above actions for step 8. 9) Once the timing marks are aligned, tighten the 13mm adjustment bolt and the 17mm stud to 16 ft-lbs. Woo! The new timing belt is in! To get everything back together, follow the steps in reverse order. Don't over-tighten the ignition cap mounting bolts. The housing is plastic and will crack (particularly if it is old). Important torque specs are below. Last edited by blasphemy101 on Mon Oct 22, 2012 1:30 pm, edited 10 times in total. Done! Let me know if there are any problems with it. very nice, sticky. Should reccomend disconnecting the battery to eliminate the possibility of someone cranking the car while the belt is off. Did you get any pics of the water pump stuff? PM me to get your stickers! Unfortunately, no, I wasn't able to get any pics of the water pump replacement. Getting pics of the bolts was impossible with my camera. That's why I suggest using the new pump as a "map." That's how I found them at least.. I'll add the battery thing. Thanks! This was my first time doing any major maintenance on this car, so it was a bit of a learning experience. It's likely you'll find that there are easier ways to do some things, but I was going about it strictly based on my Bentley manual. All in all, the job isn't that difficult, as long as you're methodical about it. The only real chance you have to mess anything up is when you actually replace the belt. As I try to start it up the car the Idle Control Valve hums even if the key isnt turned. Makes me wonder if that killed my battery in the past. Anyways, is there something i may have for gotten to do? I have double checked my work, triple (quadruple) check. I had to just to make sure TDC was correct. It sits right next to the throttle body. The IAC (Idle Air Control) should start humming when you turn the key to run, before you try to start the car. If it's on constantly even without the key in the ignition, I'm not really sure what to tell you then. Please start a new thread and put in all the info you have. pics and video would be great too! Yoshi wrote: Please start a new thread and put in all the info you have. pics and video would be great too! it would be nice to also put up a while your in there cam seal diy. bigger gearing. Is it OK to rotate the shaft counter clockwise? 3. did you set the engine to TDC before removing the old belt, did the marks line up then? You can pretty easily rotate the crank any direction you please. Even hitting valves isn't an issue if you're doing it by hand. Backwards or forwards makes no real difference if you're just positioning stuff. Always do it forwards for the final bit before you put the belt on though. 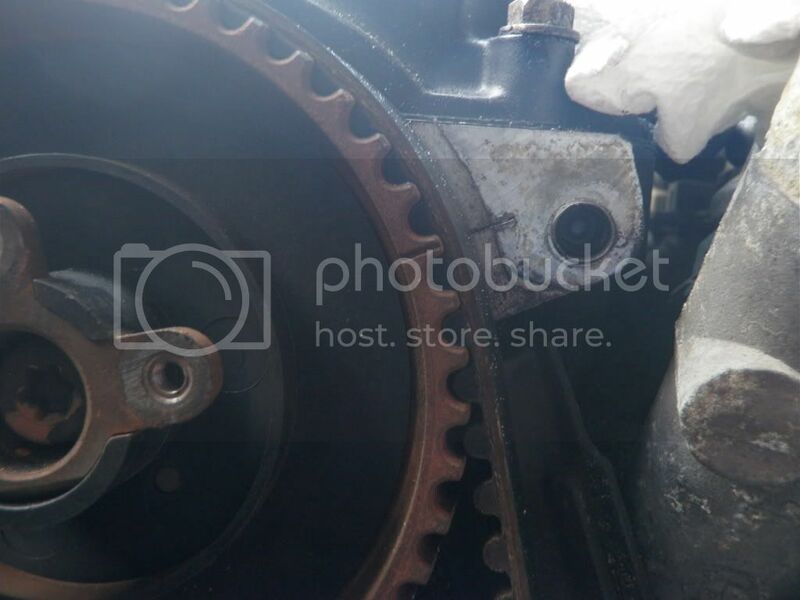 The bigger gearing is on the cam shaft because the cam rotates one time for each two of the crank. It all worked out O.K. I drove 800 miles on the new belt. Do I need to re-tension it now?